Over the past decade, voice assistants have progressively entered our lives. 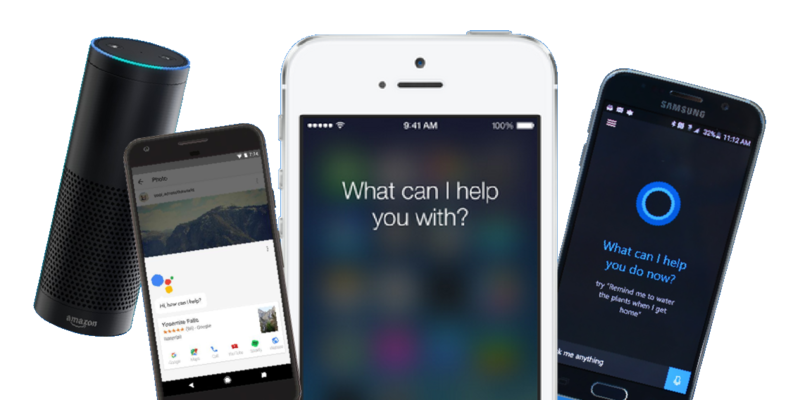 Names like Alexa, Siri, Google Assistant, and Cortana will surely ring a bell. But it was way before these names that the concept of a voice assistant was brought to light. As far as back in 1962, IBM launched the first ever voice assistant, named Shoebox. If you hadn’t guessed it, its size went by its name. It could do the mathematical functions and recognize digits 0-9 and 16 spoken words. Then came Harpy with a vocabulary of a three-year-old, it could recognize 1,011 words. All of these initials innovations had paved a way for what was to come next. Apple, Amazon, Google, and other giants got their best brains on this, and the result was for the world to see! Fast forwarding to today, “Hey Siri”, “Alexa!”, “Okay Google” are commonly known. But out of all these, Alexa stands out for the masses. 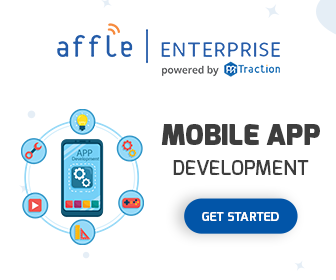 Being available on 100Mn devices, it has become the talk of the industry. And it isn’t just the Talking Tom with a speaker, it actually does your chores for you, and sometimes gets you like no one else. Technically speaking, it uses AccuWeather to provide weather reports and news with a plethora of sources such as NPR, ESPN and local radio stations. It understands users’ needs for the beats and streams all of the rock, pop, and midnight melodies from the owner’s Amazon Music account, and offers built-in support for Spotify and Pandora accounts. It can manage the alarms and to-do lists in the way you want and also make important calls for you. 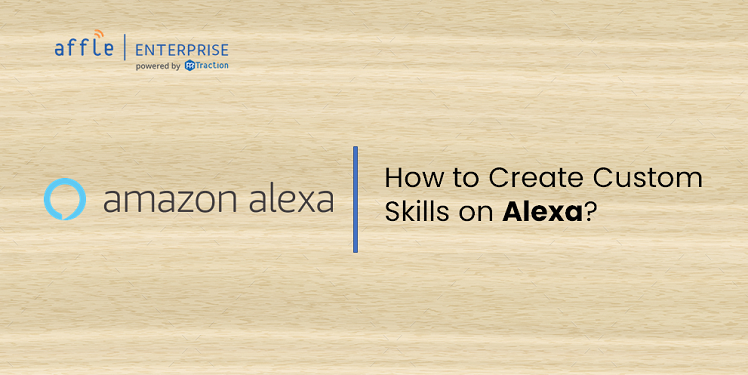 All these tasks Alexa does is through its built-in capabilities called “Skills”. Users can teach and inculcate new skills in Alexa using the Alexa Skills Kit, which can then be accessed by making requests or asking questions. You can create smart home skills, music skills, video skills, flash briefing skills, and custom skills as well. 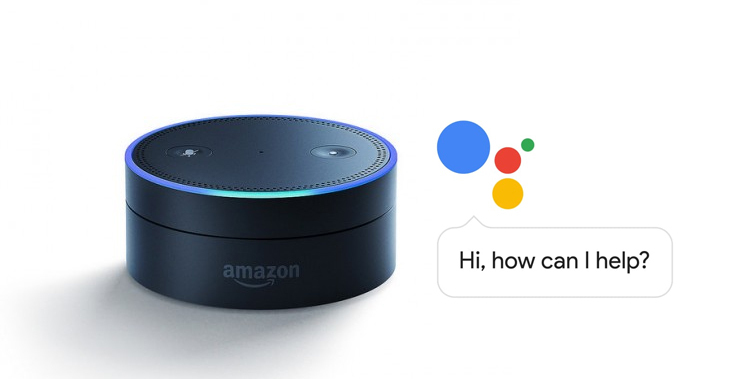 It is a comprehensive device operating on the latest technology and does everything that you could expect from a voice assistant at the most. The common (obvious) prerequisite to building any type of skill is an account on the Developer Console, which would be used to create the configuration for your skill. The configuration would require the information about the skill, such as the name of the skill, the type of interaction model, the content feed or endpoint, and other information. This configuration is used to determine the user requests that should be sent to the Alexa service for your skill. You will need an internet-accessible endpoint to host the cloud-based service, Amazon Web Services(AWS) account, and Amazon developer account to use AWS Lambda, appropriate developer environment, and an Alexa-enabled device for testing. You would need an account with AWS, appropriate developer environment for your preferred programming language. You can use Node.js, Python, Java, C#, or Go to author a Lambda function. For testing, you must have an Alexa-enabled device. Building a Video Skill would require a cloud-enabled video service provider with a public API or access to the cloud-based service, an account with AWS, an Alexa-enabled device, and an appropriate developer environment for coding. You will need a content feed that would be accessible via the Internet, using RSS or JSON, which would refresh with the new content. For a music skill, you need to have an Amazon developer account, an Alexa-enabled device registered to it, an AWS account, a music service to stream music and a cloud API to control it. “Alexa, what is my horoscope?”, where an Alexa custom skill is indirectly invoked. It is all a simple play of intents and utterances, your sample utterances should match the invocations you use to ask questions or request Alexa. The invocation name is combined with a command, action or question which further sends an “IntentRequest” with the intent corresponding the user’s requests. The command, action, or question in your invocation phrase is defined in the sample utterances and mapped to the intents. Times may come when the users would want Alexa to just get whatever they are saying, to ease the exasperation that may result, provide a plethora of sample utterances written in various forms. Also, who would not want to get their personalized playlist listed beside every mood that a day could encounter. Alexa can stream music and media as you ask it to. Once the Alexa device is registered to the user’s Amazon account, they can request any track from their fully-accessible Amazon Music Library. What are the technicalities to keep in mind? Now, there should be no ambiguity in the answer to this question. The job here is to create a cloud-based service to handle the request for the skills and host it in the cloud. To build a custom skill, AWS Lambda function is used. An alternative to this is writing a web service (in any language), in which case the web service would respond to the request sent by Alexa. An Interaction Model is defined when creating a custom skill. It is used by Alexa to fetch the words from the voice and translate them into a request, which is then sent to a particular skill. The other skill types have their APIs which provide a built-in interaction model. The skill-building process is organized on the Developer Console in a systematic way from creating a skill on the Build page to testing and analyzing it. On the Build Page of the Developer Console, perform the setup and configuration of the skill. Specify the corresponding interaction model and the endpoints for the service. All these options are easily available on the Developer Console. However, it depends on the model of the skill that what specific options should be used here. For a custom model, intents and sample utterances are created. For pre-built smart home models, an endpoint is specified and account linking configuration is performed. A skill could be tested in multiple ways. Utterance Profiler is used to test the custom interaction model. On the Test page of the Developer Console, there is a simulator which gives access to the Alexa Skills Kit features, and it is used for testing the skills. Another option is to test using an Alexa-enabled device. The skill can also be tested from command-line using ASK CLI commands. Or else, Skill management API provides the skill testing features for the same. The Distribution page on the Developer Console is used to determine the availability of the skill and have a glance at how it would appear when viewed in the Skill Store. The metadata used here is language-specific. The details are required to be filled in each language supported by the skill. This data would then be displayed on the skill detail page accessible in the skill store. On the Certification page, verify that your skill is all ready and submit it for the certification process. The Publication status of the skill will be displayed on the Status column of the Developer Console. Once the skill is published, the publication status changes to live. Here, the skill can also be hidden or removed. If there are any certification failures or issues, then they are fixed for successful validation and certification. The Analytics page on the Developer Console is used to view the usage metrics for a skill. This dashboard depicts detailed information about how the customers are using the skill. The present demand of the Voice Assistants has made it clear that they are changing the lifestyle of the people for good. It has been analyzed that the people who do not own a smart voice assistant desire to purchase one. It is anticipated that the voice assistants would be made so smart that on your slightest whisper of “Alexa, I’m hungry”, it will automatically order your most favored cuisine. AI has the capabilities that will help the smart speakers to think and learn by themselves without being programmed for every other intent. Artificial Intelligence is going to be the market leader and Voice Assistants, being a product of it, and always learning and improving, aren’t going anywhere. The Voice Assistants are here to grow and stay. Now, if you’re looking for well-built Alexa skills for your company, make sure you hire a professional team and avoid any last-minute hassles. It’ll not only help you improve your customer services, but also help you save your time while placing you ahead of your competitors.